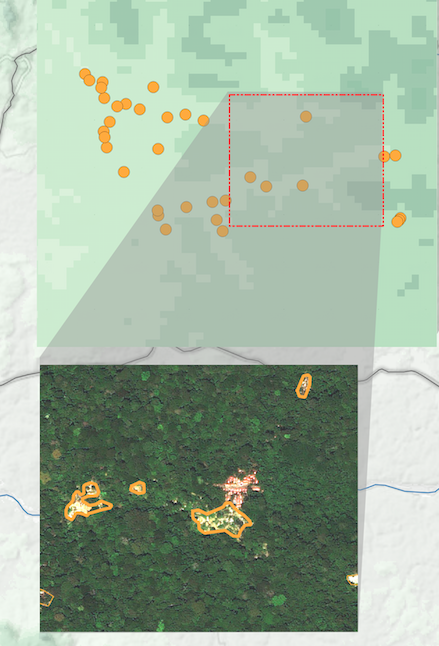 A map of the Okapi Wildlife Reserve in DRC, created as a result of two mapathons focussing on illegal activities in the park. 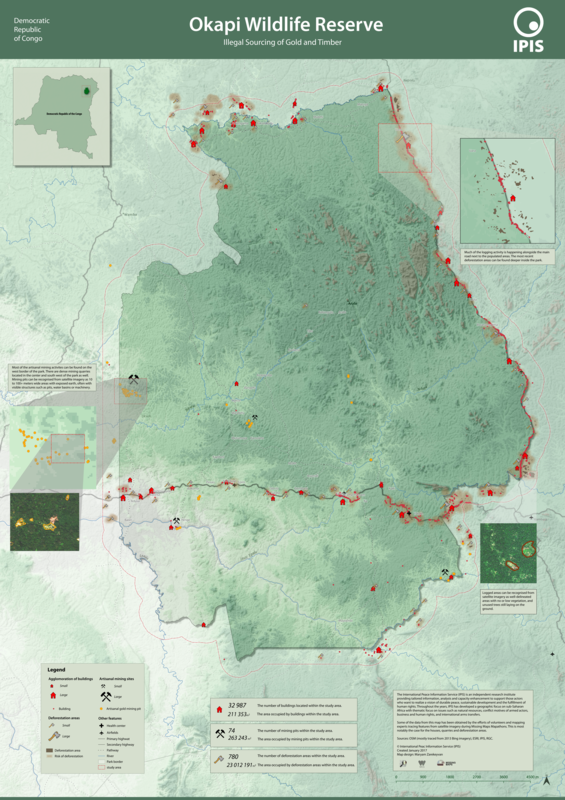 The “Okapi Wildlife Reserve” map shows the sites and extent of illegal gold and timber sourcing in the Okapi Wildlife Reserve, a UNESCO World Heritage Site in the Ituri Forest, north-east Democratic Republic of the Congo (DRC). At approximately 14,000 km², the reserve covers ca. one-fifth of the area of the forest and hosts a unique, divers and highly threatened ecosystem including extraordinary populations of wild okapis. Over the past years, the park has been suffering from increased poaching, deforestation, illegal mining operations, rebel activity and immigration into the park. 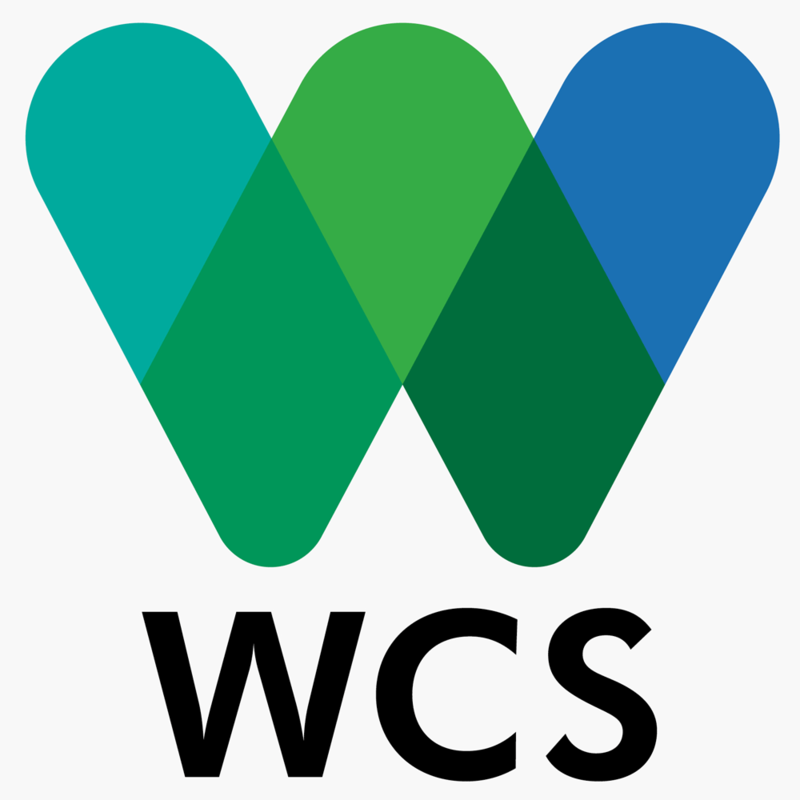 Accurate data on human activity in the park, however, has been unavailable till now, preventing l’Institut Congolais pour la Conservation de la Nature (ICCN), Okapi Wildlife Reserve park rangers and the Wildlife Conservation Society (WCS) to devise a suited strategy and planning to sustainably protect the park’s flora, fauna and indigenous people. As such, this work helps to move forward the United Nations’ Sustainable Development Goals (Goal 15 “Life on Land”) in DRC. This map presents the exact location of the buildings, artisanal gold mining pits, and deforestation areas in the park. According to the map the building agglomerations can be found alongside the main roads. Much of the logging activities are happening also along the main roads next to the populated areas. The most recent deforestation areas can be found deeper inside the park. 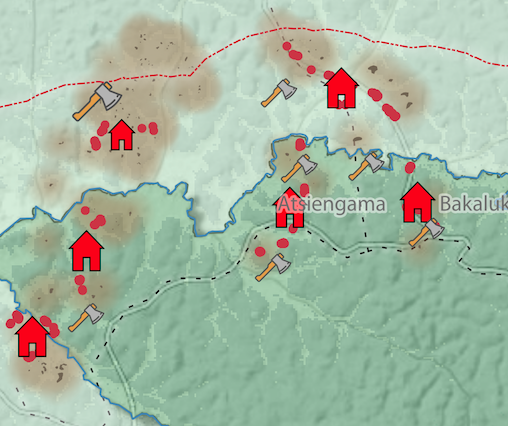 There are 74 mining pits found within the study area and most of the artisanal mining activities can be found on the western border of the park. There are dense mining quarries located in the center and south west of the park as well. The “Okapi Wildlife Reserve: Illegal Sourcing of Gold and Timber” map is based on geographic data produced by local volunteers during two “Watching over the Okapis” mapathon events hosted by IPIS at its headquarters in Antwerp, Belgium. In true “citizen science”-style, a divers group of volunteers learned how to turn open-source satellite imagery into crucial digital geographic information, ready to be used in the field. These data were subsequently checked by IPIS and OpenStreetMap experts, shared as Open Data through OpenSteetMap, and processed into the printed map you can download below. 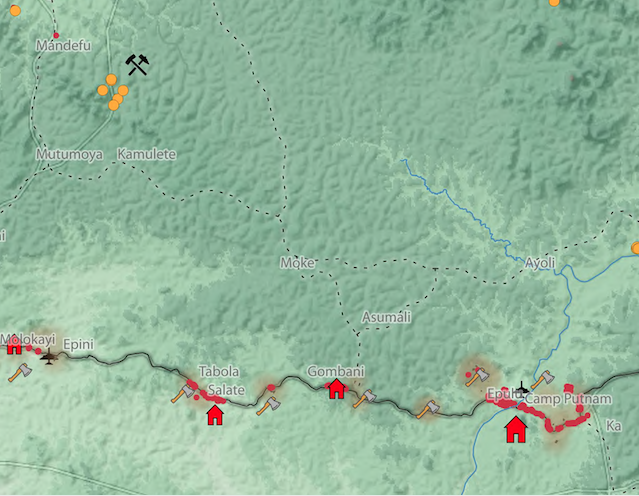 This participatory science project demonstrates how sustainable development in DR Congo can be successfully linked with the modern technology of satellite imagery, open-source data sharing and community-driven, low-threshold digital actions for development. The “Okapi Wildlife Reserve: Illegal Sourcing of Gold and Timber” map aims to enable international organisations, like WCS, and Belgian organizations, like universities and NGOs, in better responding to crises affecting the area as well as to implement sustainable development initiatives. 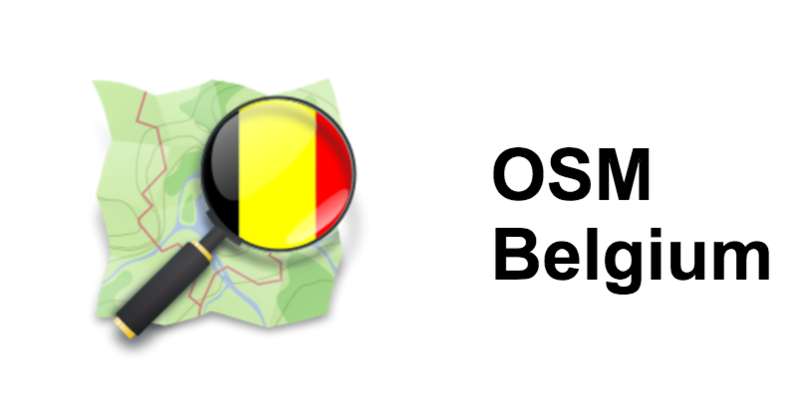 Download the map below, or download the raw data from OpenStreetMap and use it for your own map or project! The tracing was done through a HOT Missing Maps task, using the most recent high-resolution satellite imagery that is currently available from the region as Open Data. Most of it dates from 2013, and since then illegal activities have reportedly increased a lot. IPIS hopes to perform a follow up mapping of the park once new imagery is available.